Your own custom resident portal for your Assisted Living Facility. InTouchLink is North America’s leading provider of resident portals for Assisted Living Facilities. 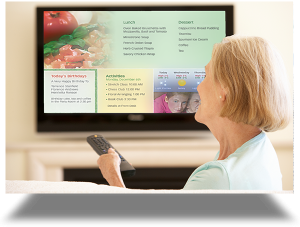 Our senior-friendly products have been tailor-made for Retirement Homes, CCRCs, Nursing Homes, Skilled Nursing Facilities and other senior living environments. Have families and residents login in to one central family and resident portal to access their menus, activities, important messages, resident updates etc.